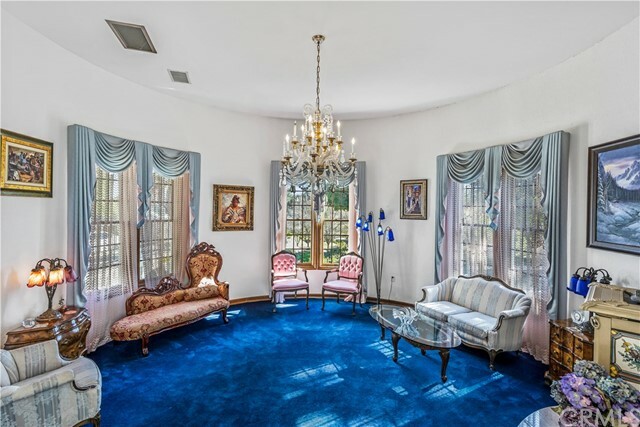 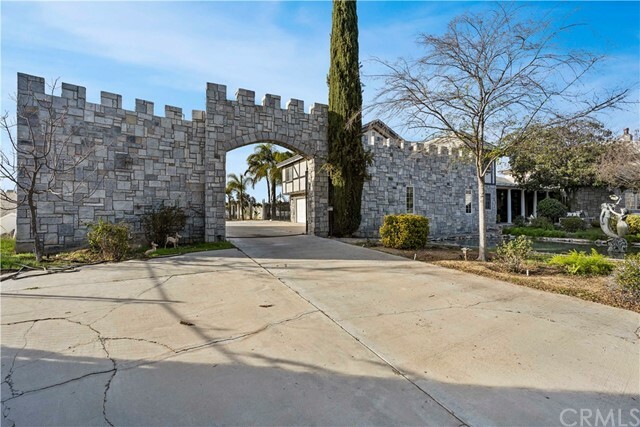 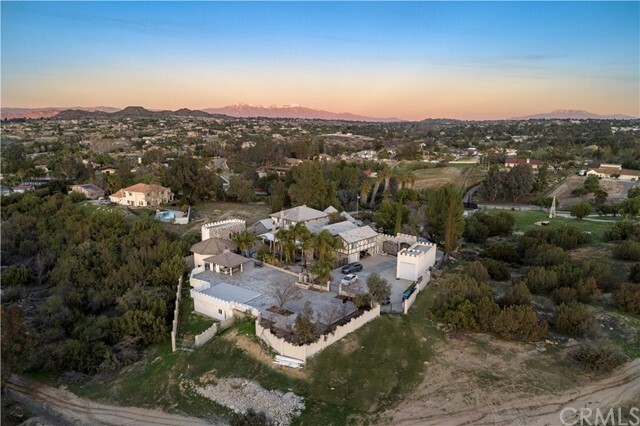 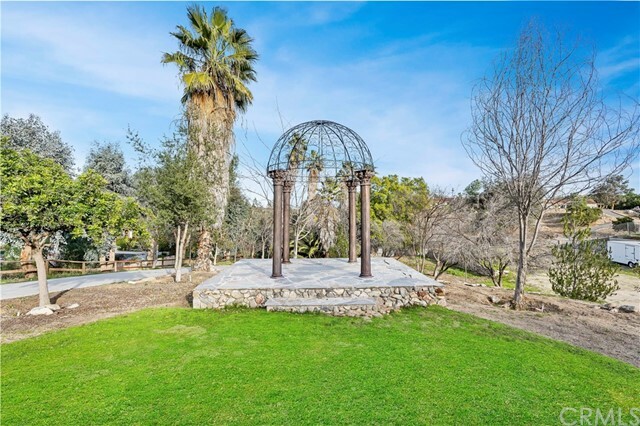 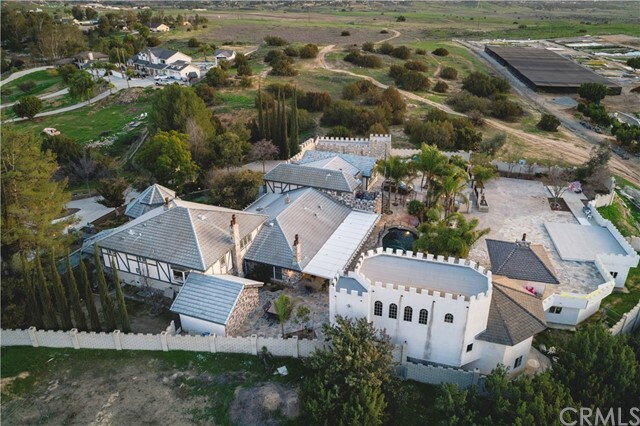 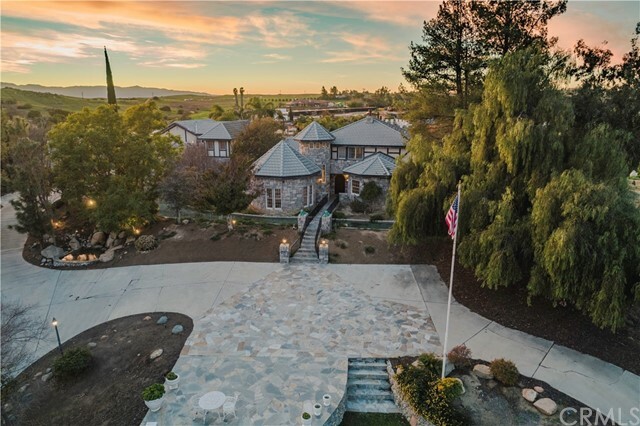 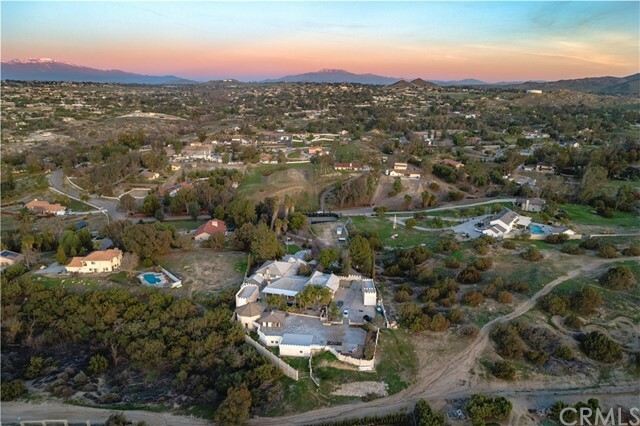 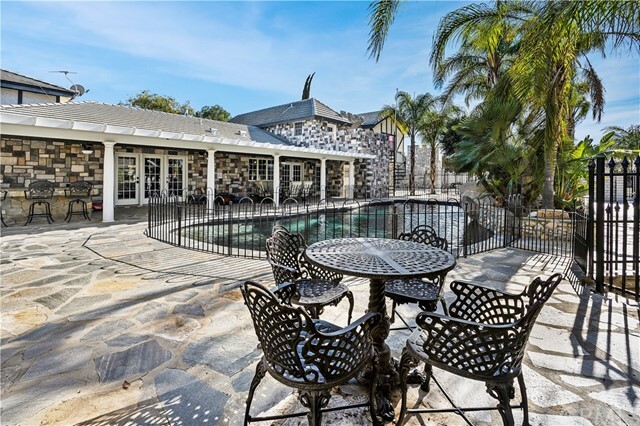 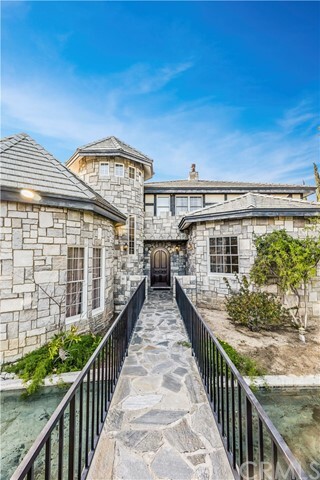 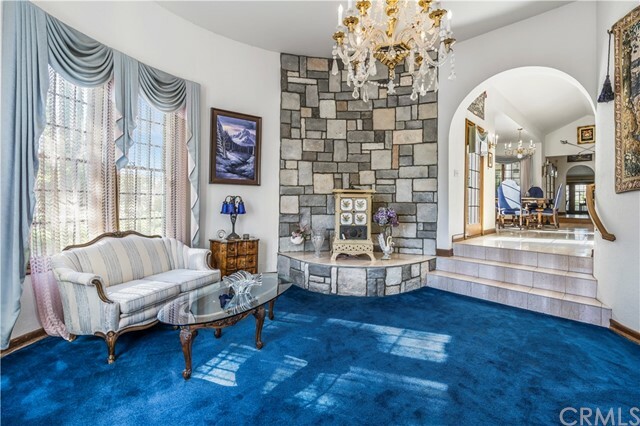 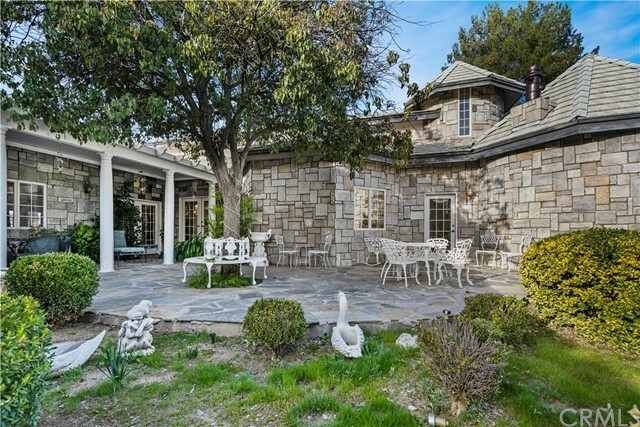 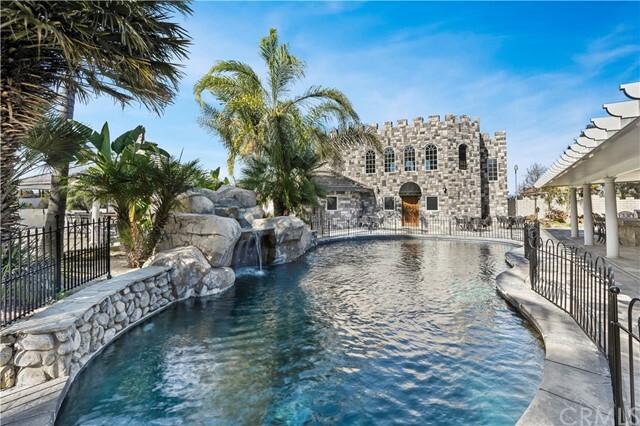 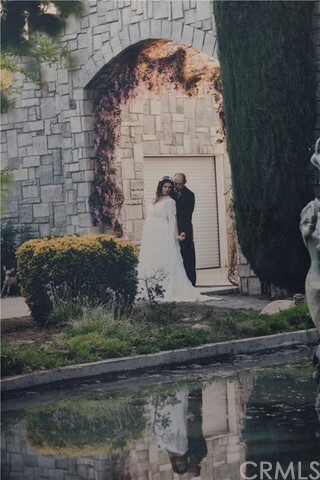 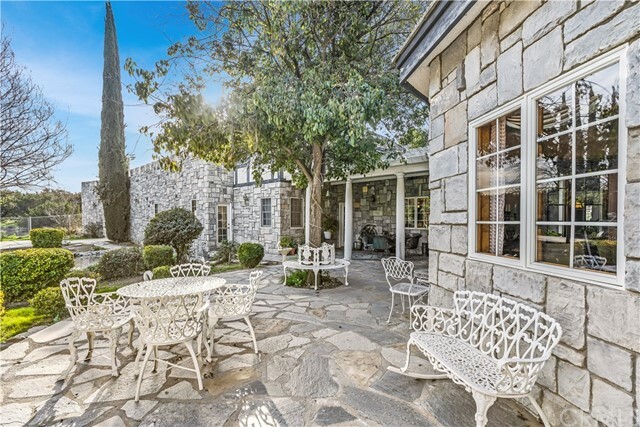 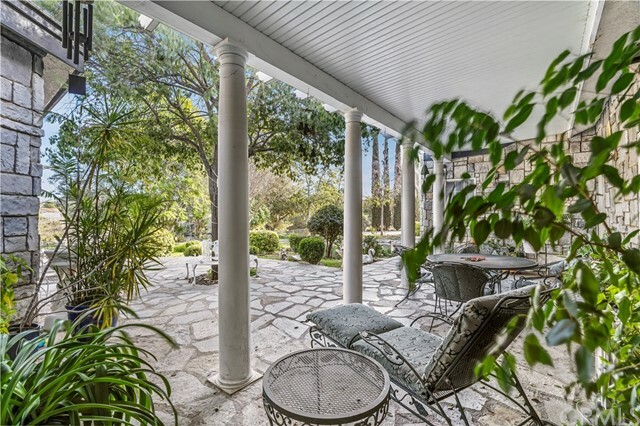 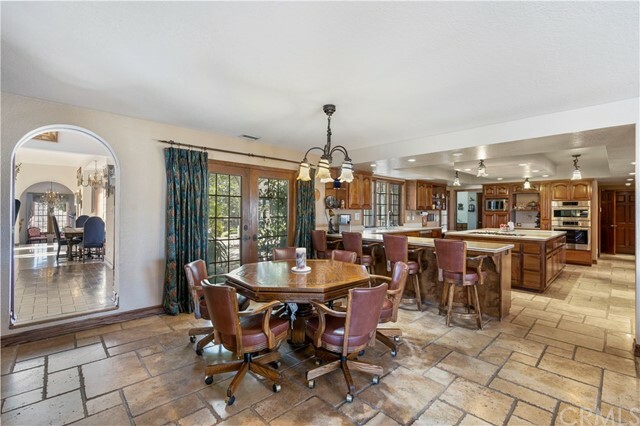 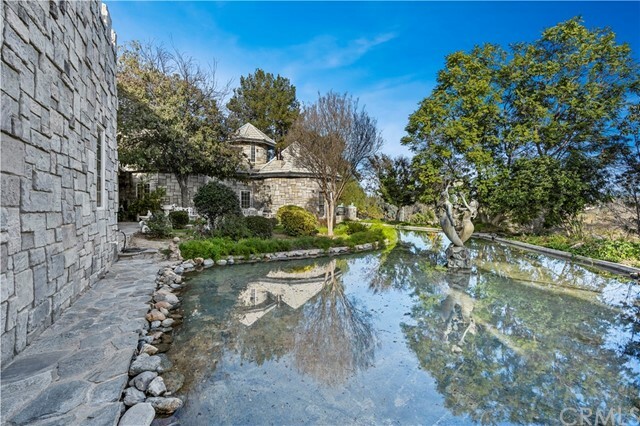 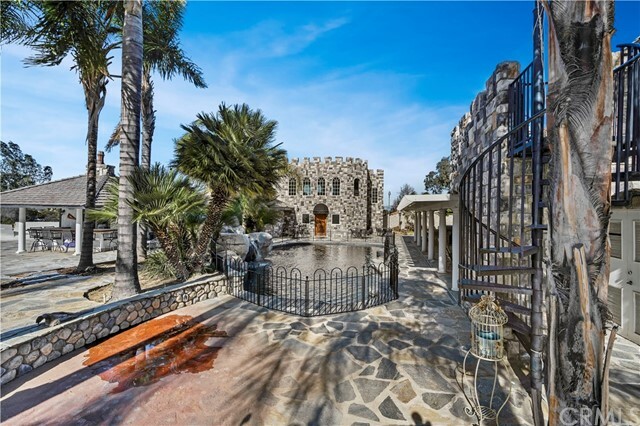 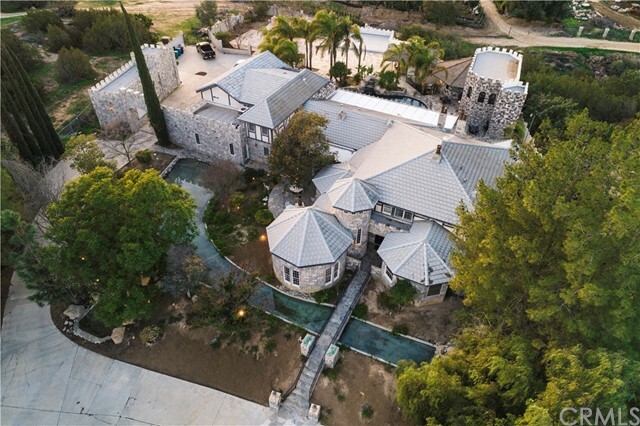 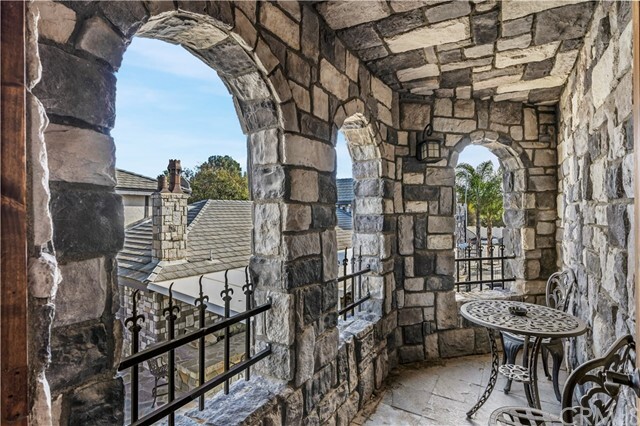 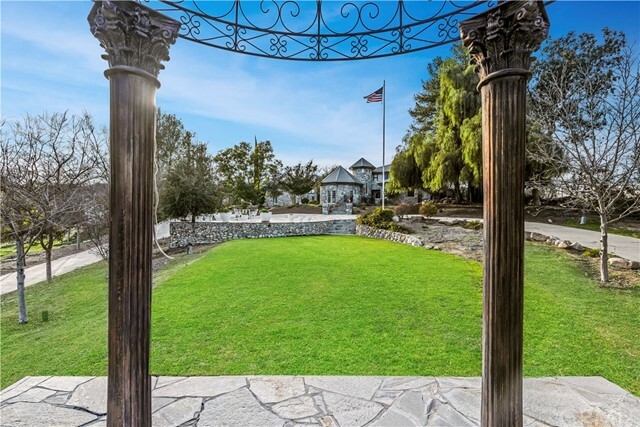 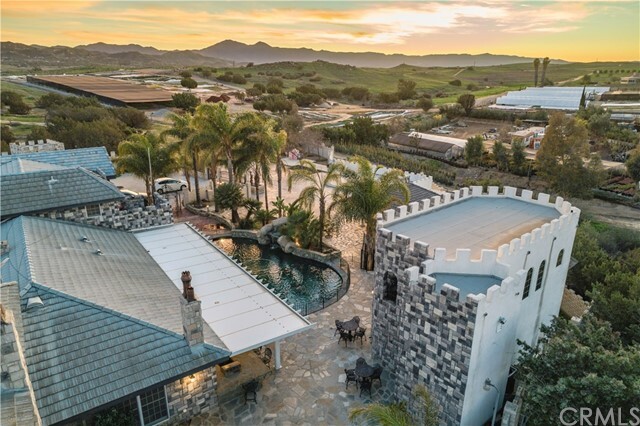 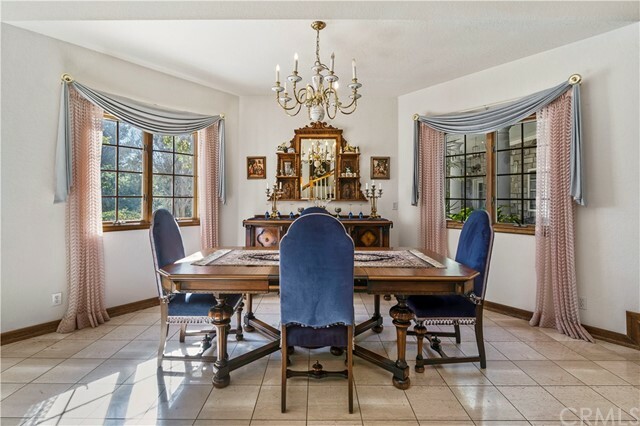 This Mockingbird Canyon Estate is on 2.4 Acres. 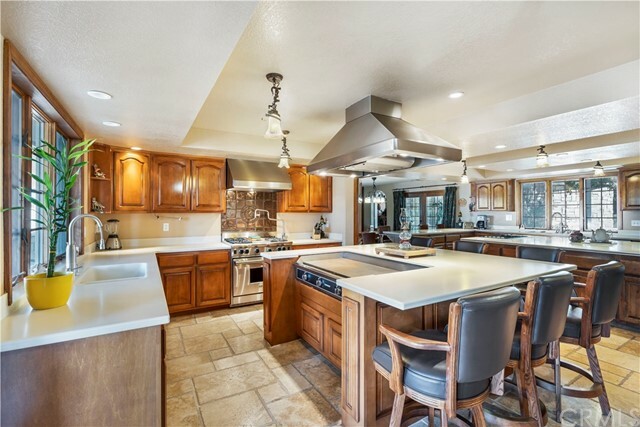 Property has 8,893 SF of living space w/ 2 residences, 3 bars, multiple garages, RV garage & outbuildings, over 2700 sq ft of storage, & ready to build another residence on lower lot w/ electricity, septic & dump station. 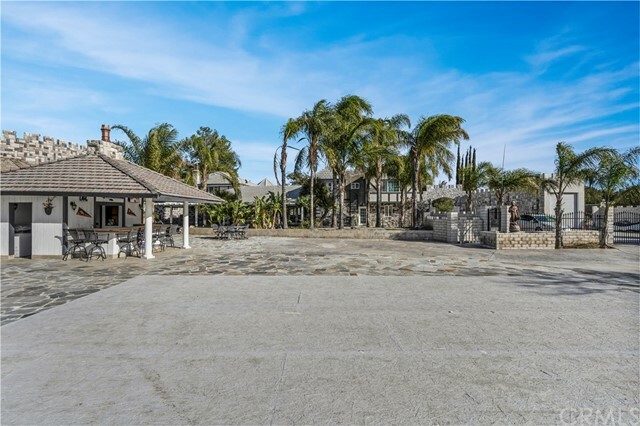 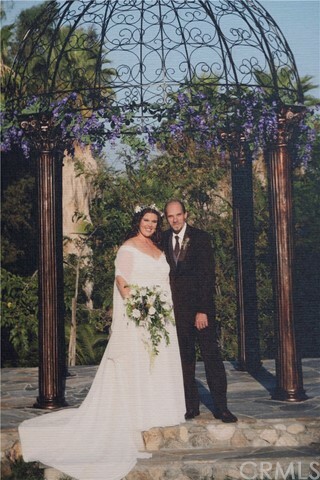 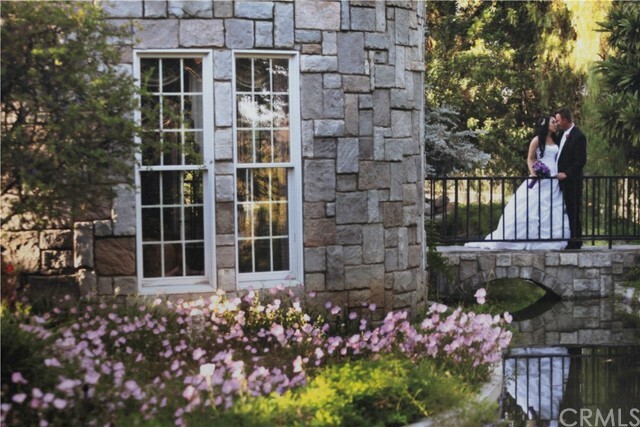 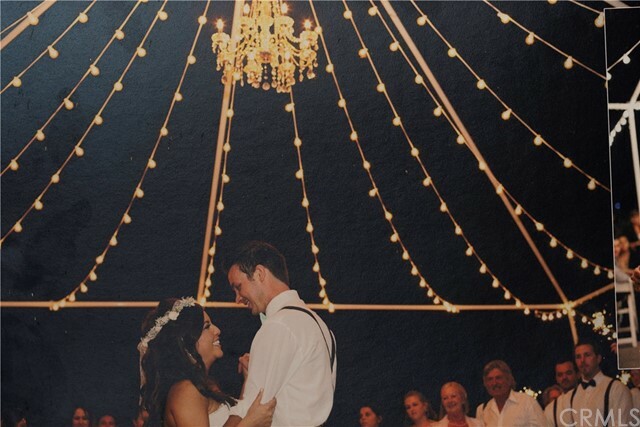 Upper Lot features an entertainment pavilion that can accommodate 250+ guests. 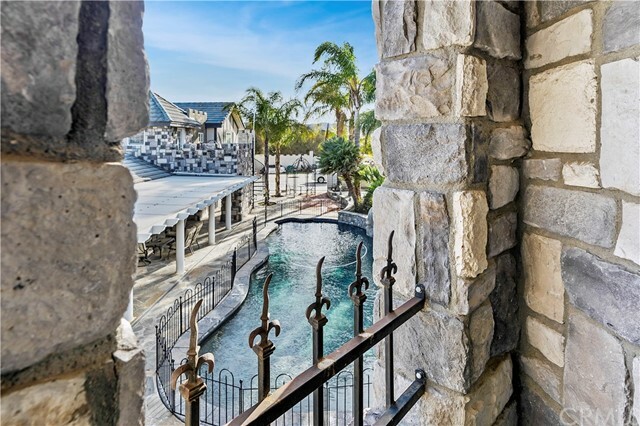 In addition the exterior has immense open space & includes private gardens & patios, lush lawn & gazebo, salt water pool w/ waterfall & flagstone, tennis court, flagstone & alumawood patio, outdoor dining w/ TV s and surround sound. 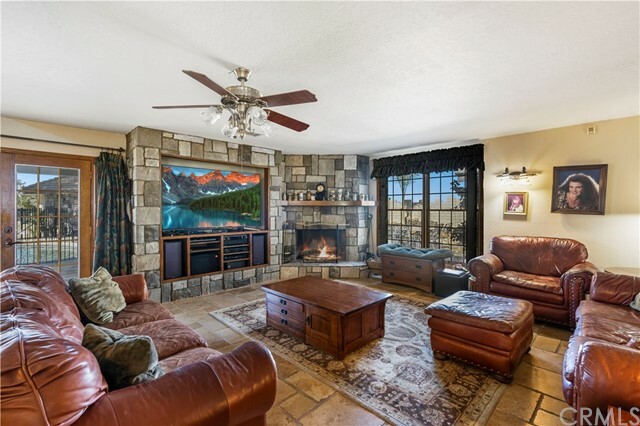 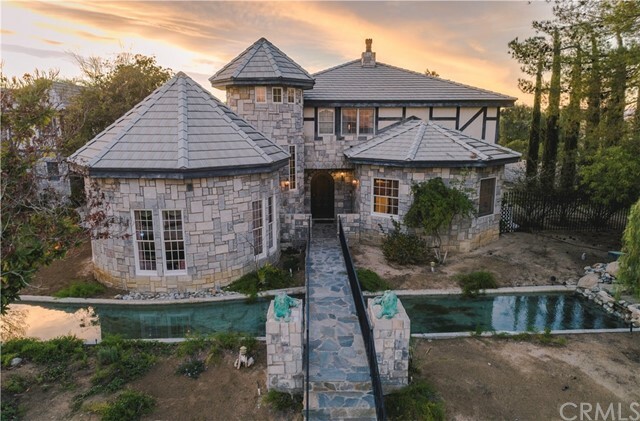 The 5708 SF main house has stone & wood flooring, custom solid maple wood cabinetry, custom windows & multiple fireplaces w/ antique European chimney stacks. 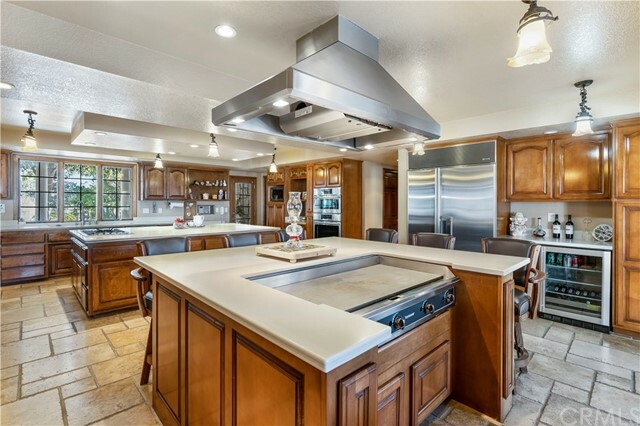 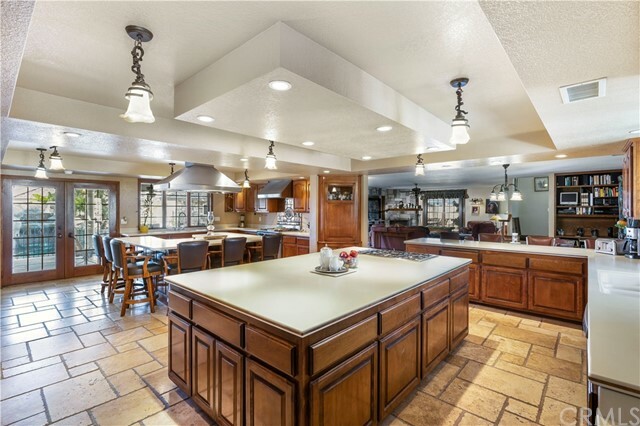 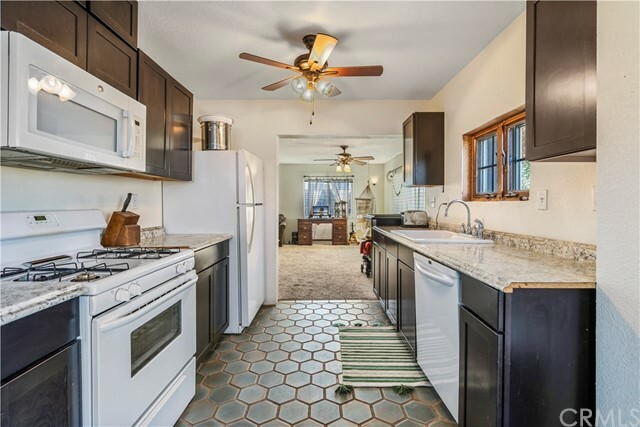 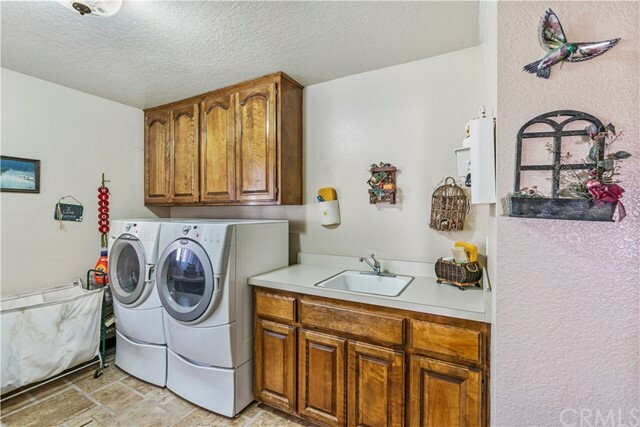 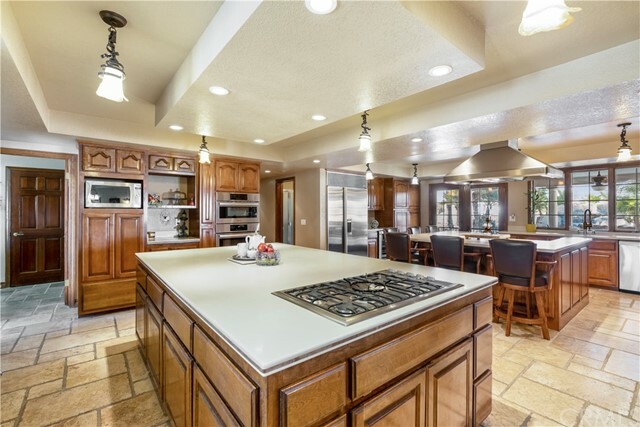 Home features a large open kitchen to include a range, wolf stove, sub zero fridge, double convection oven, dual sinks, 2 dishwashers, & a double island w/ full hibachi grill. 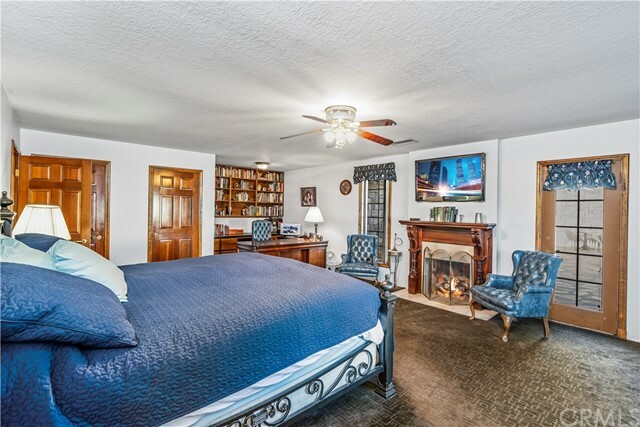 Master suite is exclusively on the main level w/ fireplace, study, bath with large tub, walk in shower, & his and her closets. 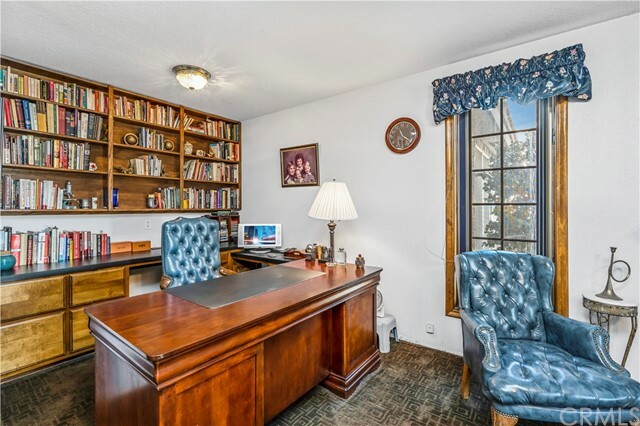 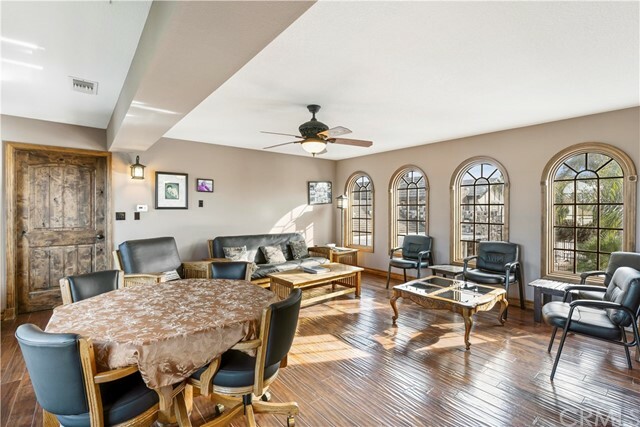 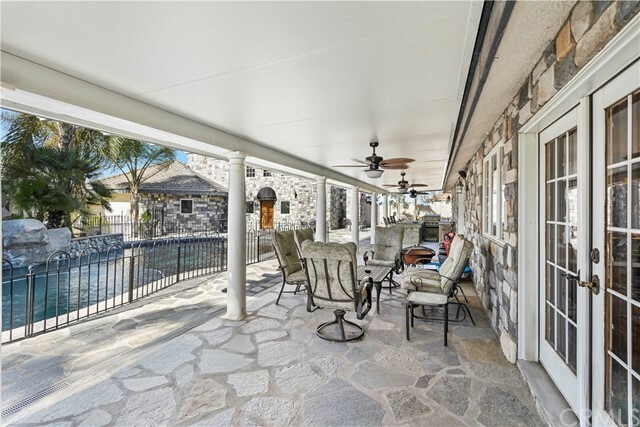 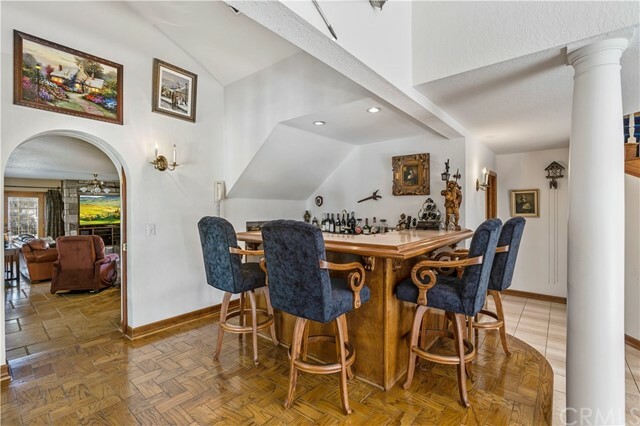 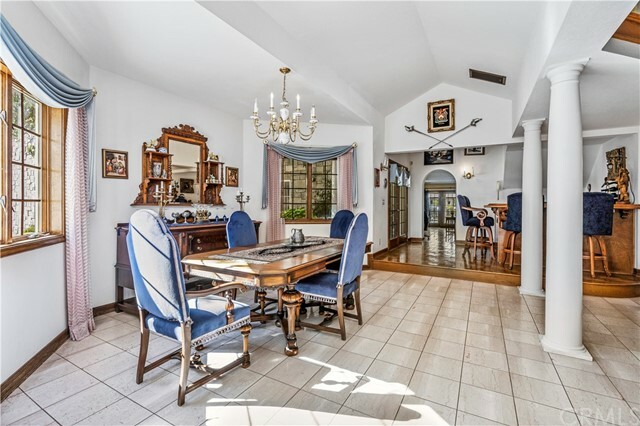 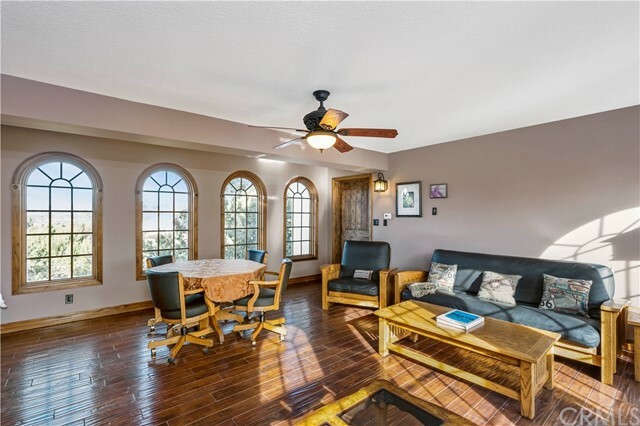 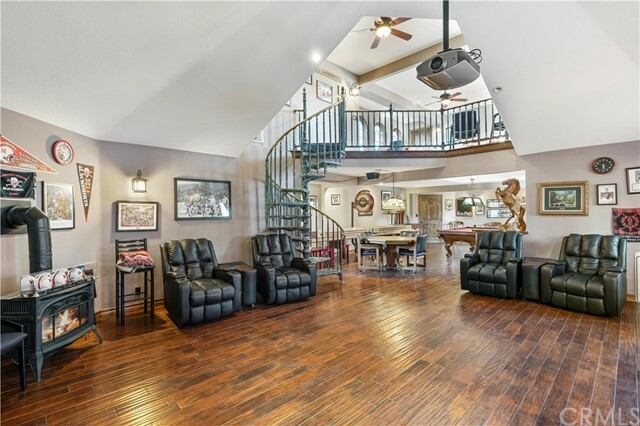 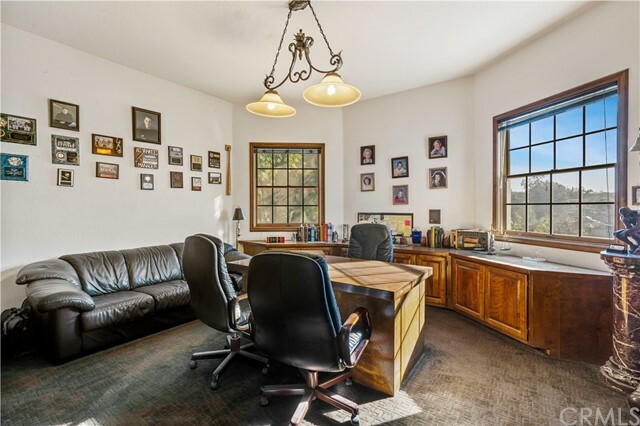 Main floor also has large office w/ custom built in cabinetry & shelving w/ adjoining bathroom as well as formal living & dining rooms, wet bar & guest/pool bath. 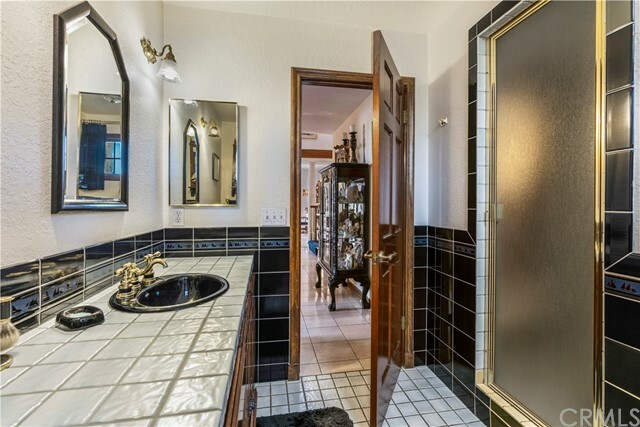 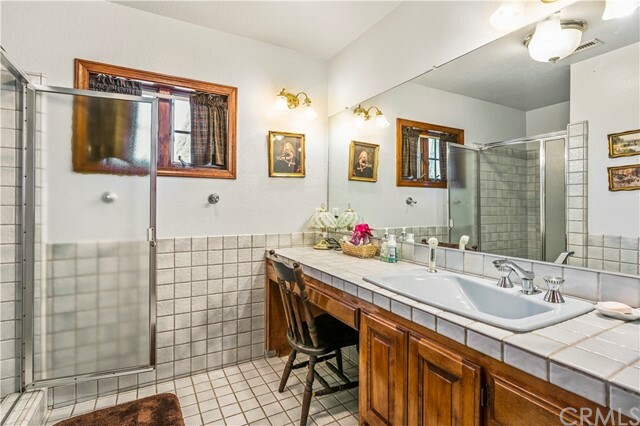 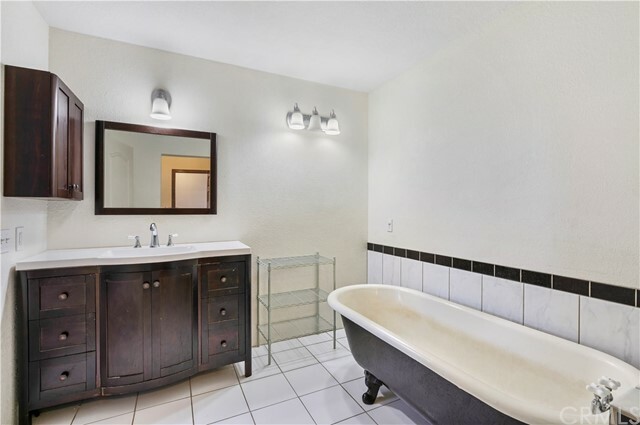 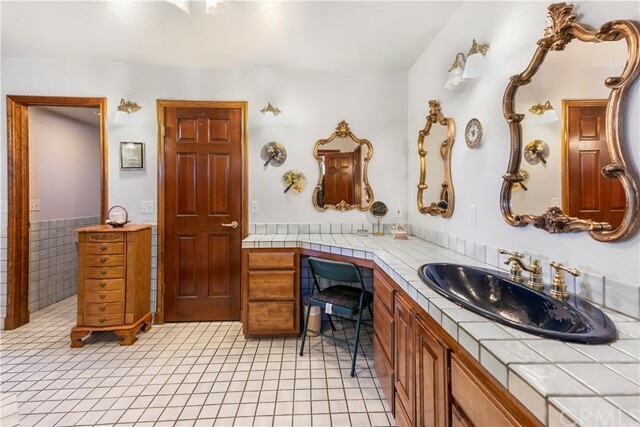 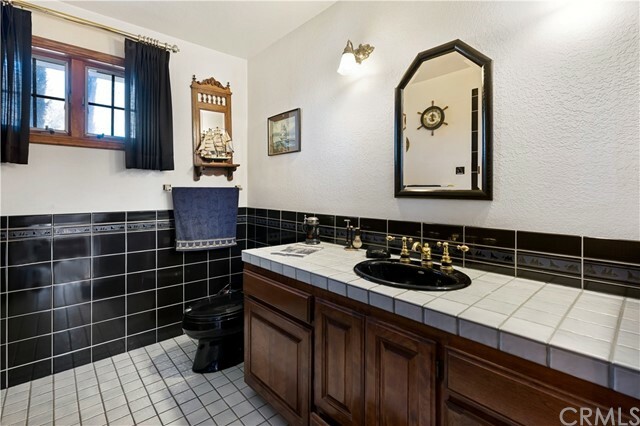 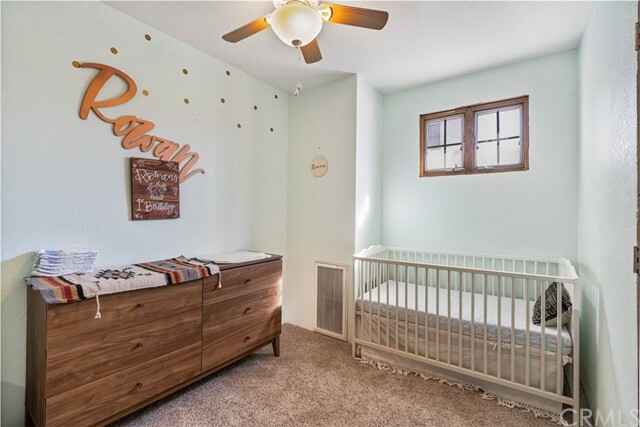 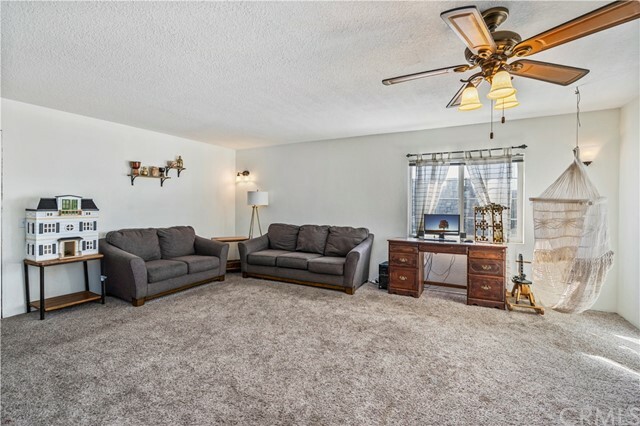 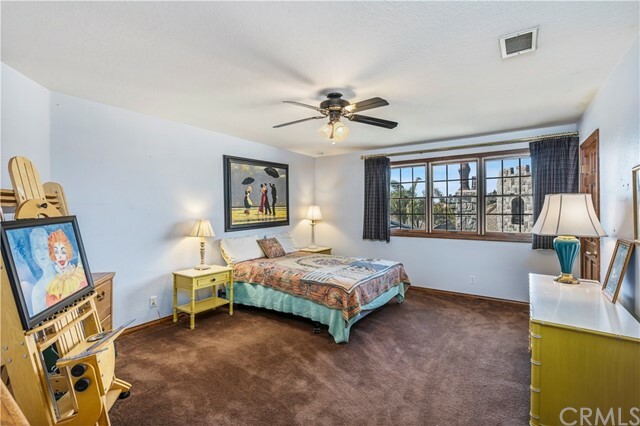 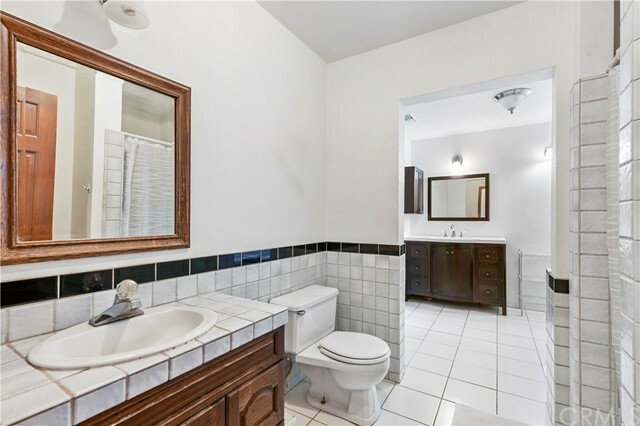 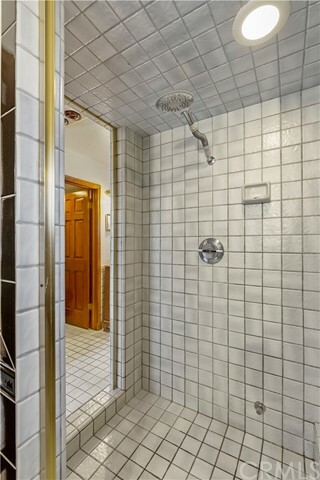 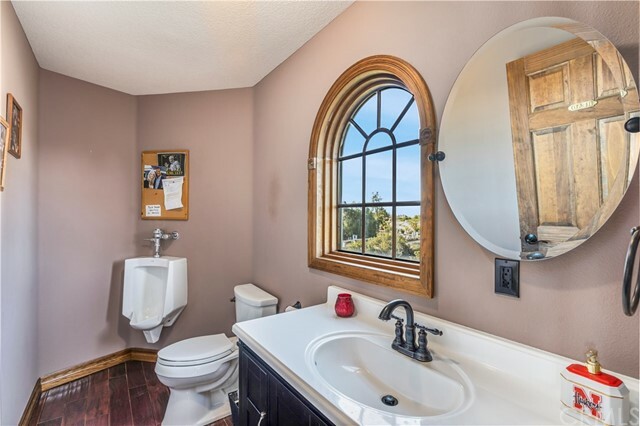 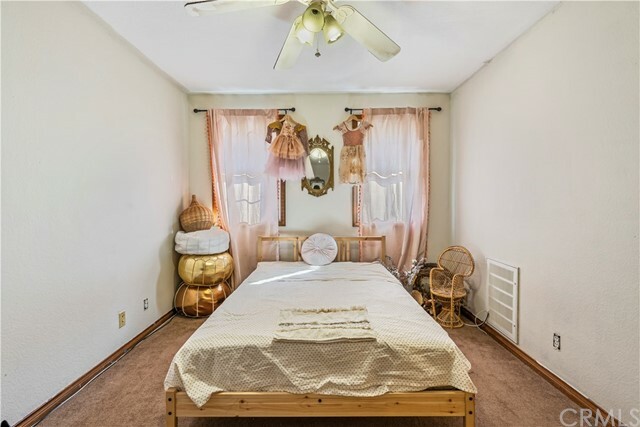 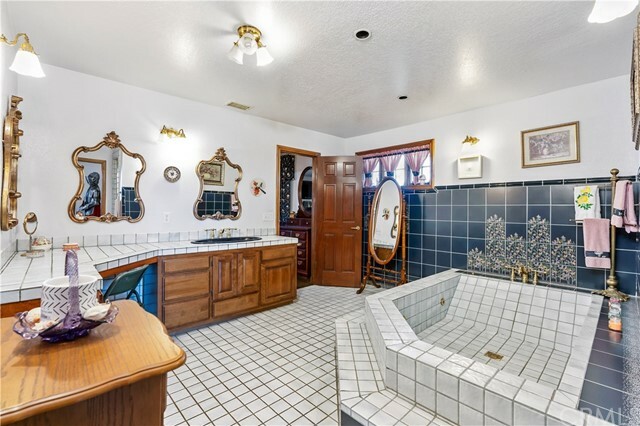 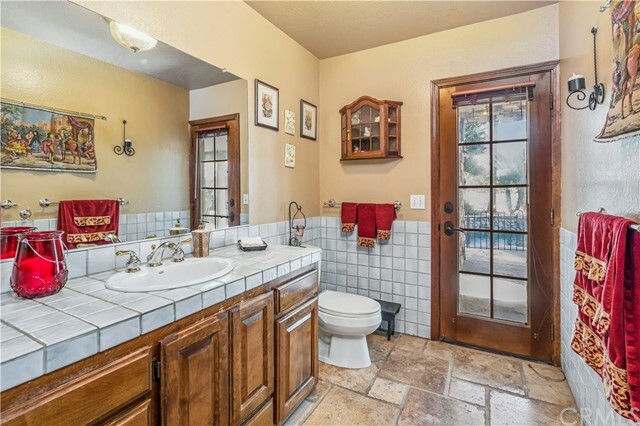 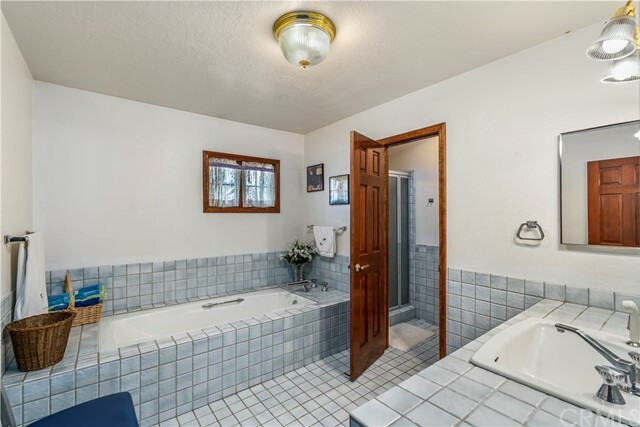 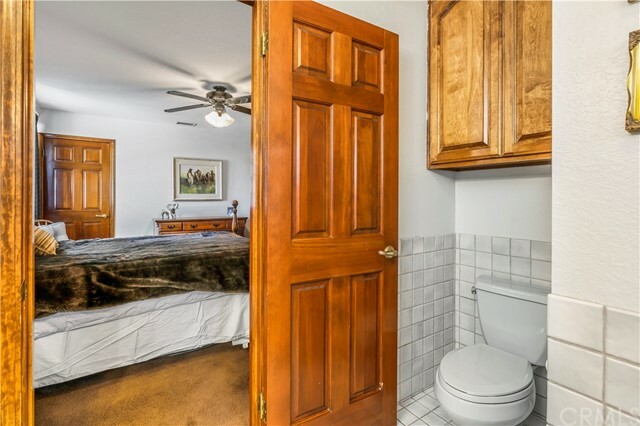 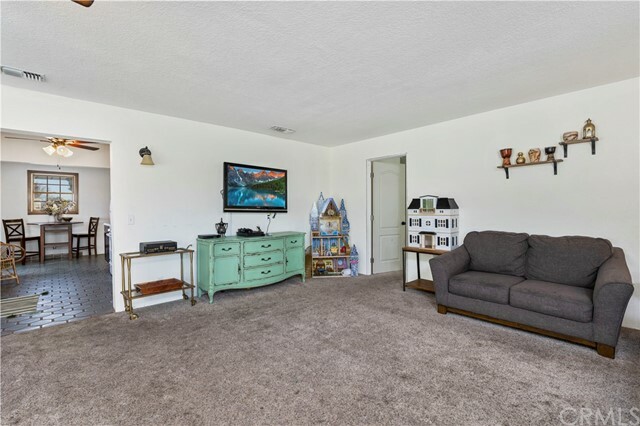 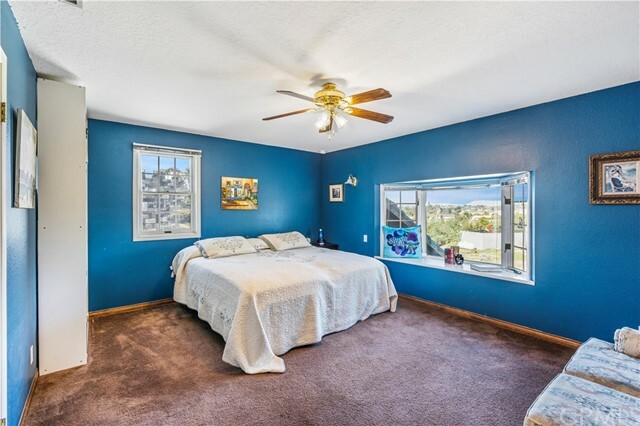 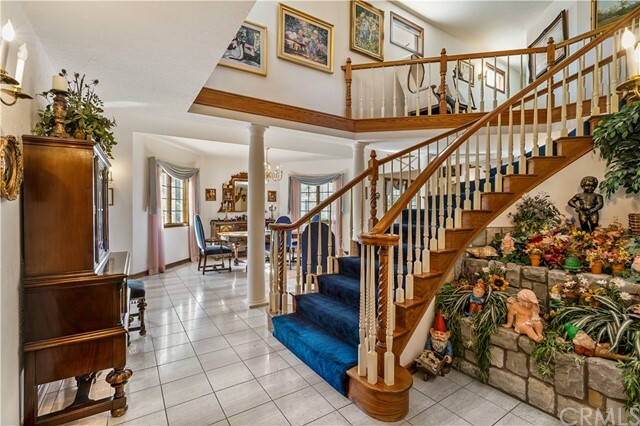 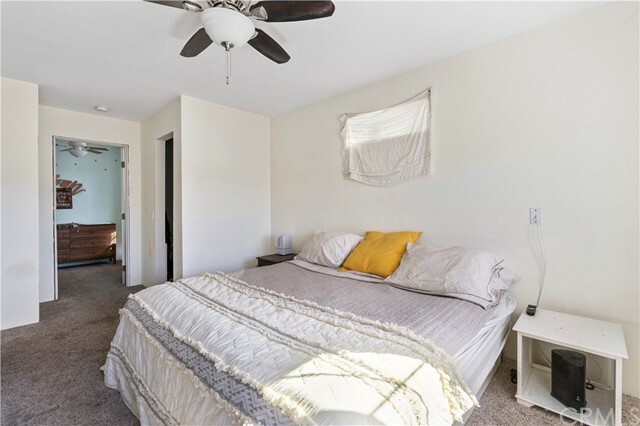 Upstairs you will find 3 large rooms & 2 full baths. 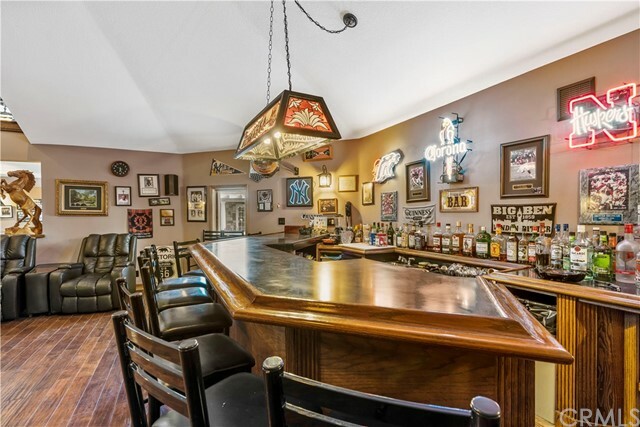 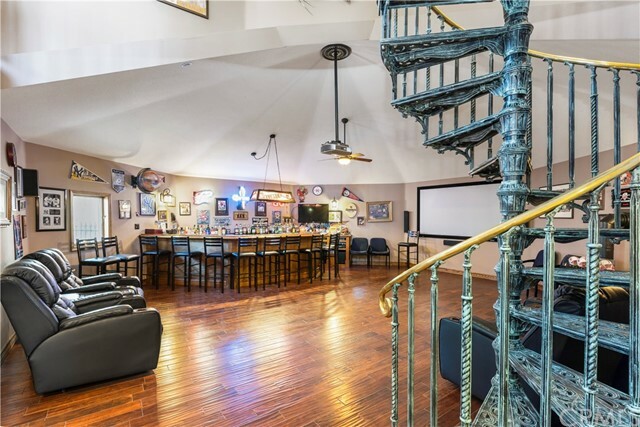 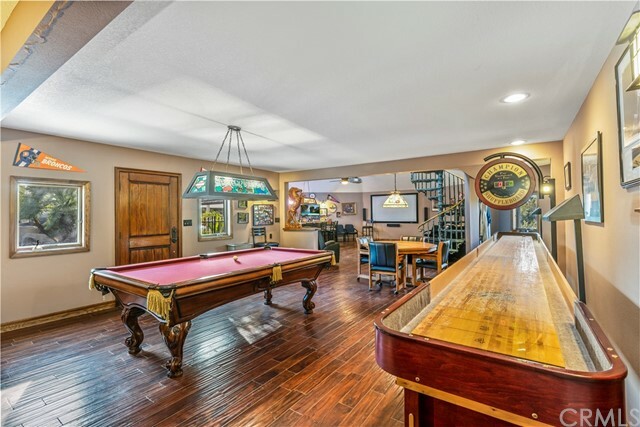 By pool you will find a 2 story 1800+ SF Man Cave w/ a full custom bar, 100 in TV screen, entertainment system, poker room, band room & bath. 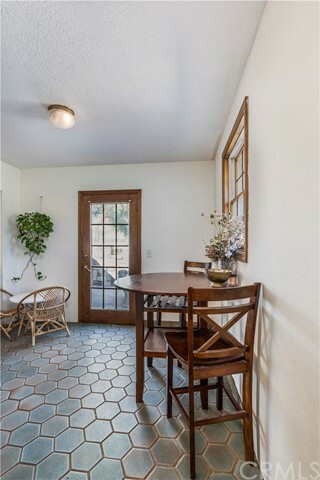 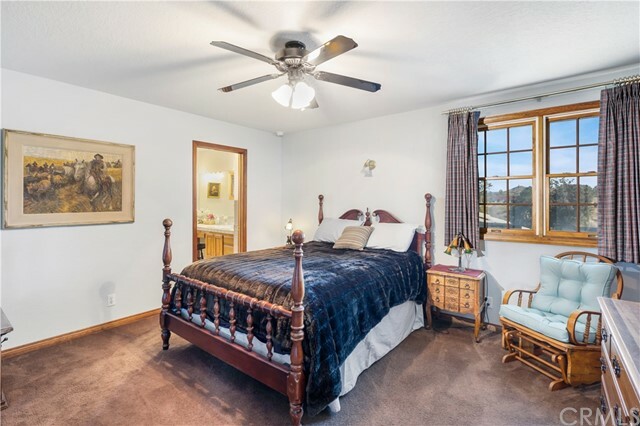 Caretakers Cottage is 1220 SF w/ full kitchen, 3 bedrooms, bath, living room & private balcony. 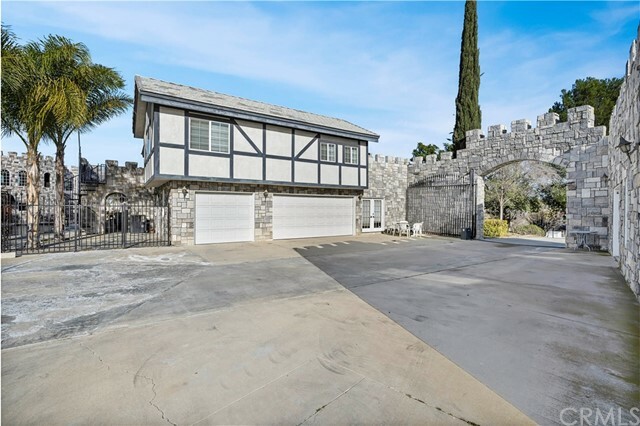 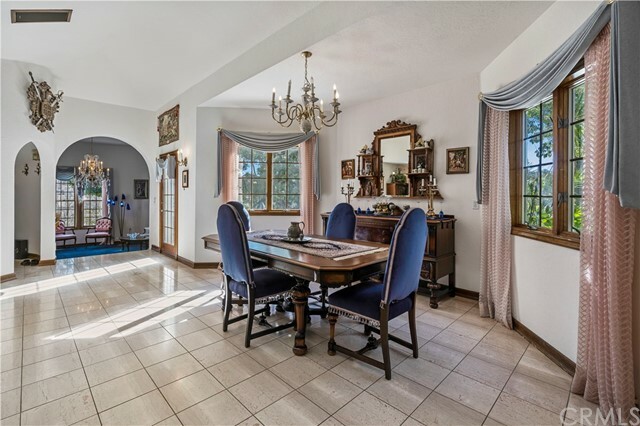 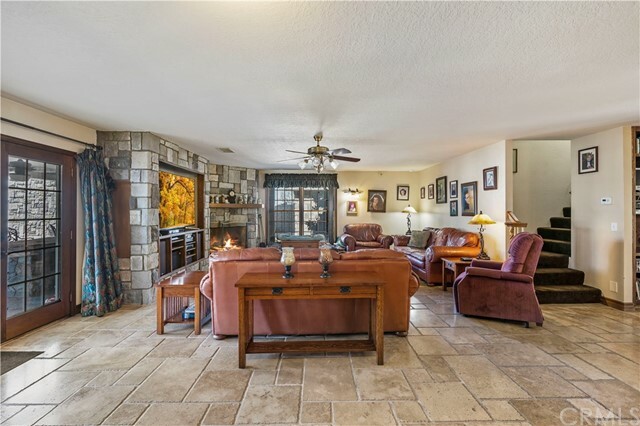 I would like more information regarding the property at 18493 Halter Lane, Riverside CA 92504 - (MLS #2871886).